hub looks very cool mounted Pete, as well as the SPDIF socket! You mounted it by soldering on the extra (hidden) ports on the motherboard right? TP137 and TP138 are similar, connected to bus 1 port 0 for USB 2 but will also work with USB 1.1 as bus 2 port 0. The USB hub cable had very thin wires making it easy to route inside and around the motherboard. I used a bit of hot melt glue to hold them in place. 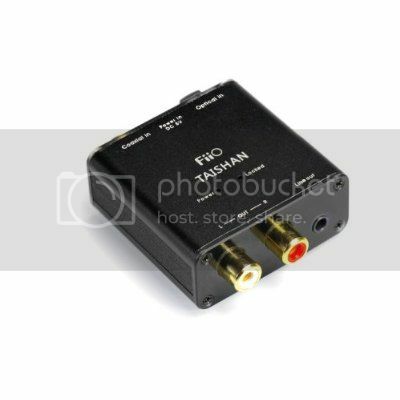 Thinking of ordering a laptop combination headphone jack / SPDIF connector, desolding current audio connection and replacing it with combo for next step. (not sure on the fit yet). It is tiny and looks to be similarly sized. This would maybe eliminate the need for cutting the back of the Joggler case. Goofing around yesterday did try testing with an optical connector looking for the "red light" to no avail though. I wonder if cannibalising this might be worthwhile? Bit surprised by the claimed bit rate handling of this cheap unit. I had looked at the USB DAC boxes. Is that what you mean by hard wiring the DAC? Or just use the optical SPDIF wires - SPDIF to DAC? Like your post above there is a bunch of these on Ebay today. Built-in high-performance phase locked loop (PLL), with extra-low JITTER digital receiver chip WM8805. I have a cliff electronics otj-5 spdif socket, it has 3 pins, does anyone know which pin needs to connect to ground/3.3v/signal? That's the bit I can't find details for. Yup; have a look here for a granular look see. It is just ground, data and 3.3VDC marked in this picture. On the optical port side here on one that I have sitting on the workbench desk there are three colors of wires. One Black (assuming that it is a ground), Red (assuming that is the 3.3VDC wire) and White (assuming that is the data wire). 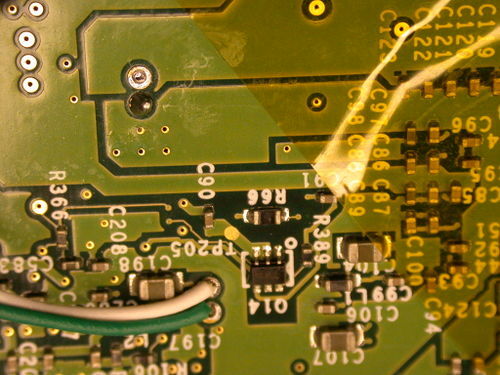 This is a best guess as I am not looking at the schematic or drawing of the pin outs (I do have them some place here). I see, my spdif came without cables attached, tricky situation lol. http://www.cliffuk.co.uk/products/optical/otj5.jpg This is exactly what I have. and I found this http://www.taligentx.com/projects/optic ... itter2.gif its a different model from what I gather but perhaps it's the same. But if the same I guess pin 1 is 3.3v, pin 2 signal and pin 3 ground? I got cliff electronics to confirm, it is, pin 1 voltage in, pin 2 signal, pin 3 is ground. Once complete is it really just "unmute spdif from alsa sound"? when running squeezeplayOS from USB? any one can confirm what software changes I need to make with squeezeplay os via usb stick? I've unmuted spdif but not sound. Here for my zoned amplifier I leave a Joggler next to the amplifiers in a rack in the basement and it is remote controlled via the mothership. For the master bedroom / bath sound I built a touchscreen interface with radio buttons on it which also talk to the mother ship. That device is using an external digital USB device and it works fine. The mothership does a bunch of stuff here but is not AI; rather it's just a software tool that manages the heartbeat of the home; well and occasionally does some willy nilly stuff. I'm trying a sharp spdif transmitter, the stream keeps cutting at the start of songs, very annoying, hoping its just the cliff electronics spdif though, I did dremel it a bit so it could have been me, we'll see. Not sure if answers any of the needs on this post. Still would be hard to mess it up with a dremel...but maybe eh?